Get your FREE Sample issue of Practical Wireless today! 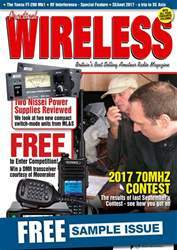 (4 Customer Reviews) | Write Review 12 issues per year Practical Wireless is a unique magazine that has been in continuous publication since 1932. Originally, PW – as it’s known to its friends and readers worldwide – started off as a magazine that dealt with the more practical side of wireless construction for general enthusiasts. However, since 1980, the magazine has aimed itself specifically at the Radio Amateur. 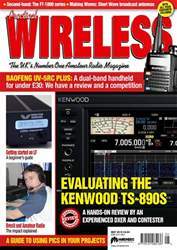 Practical Wireless has always been a ‘doing’ magazine with the accent on the practical, constructional side of Amateur Radio. Renowned for providing good homebrew projects, PW gives full assembly instructions for all types of old and new ideas ranging from the absolute beginner projects in our series called ‘Radio Basics’ to projects for the more advanced Radio Amateur, such as in our series: Carrying On The Practical Way. Practical Wireless is a unique magazine that has been in continuous publication since 1932. Originally, PW – as it’s known to its friends and readers worldwide – started off as a magazine that dealt with the more practical side of wireless construction for general enthusiasts. However, since 1980, the magazine has aimed itself specifically at the Radio Amateur. You'll receive 12 issues during a 1 year Practical Wireless magazine subscription. I have read PW every month for years. It keeps me up to date as to what is happening in amateur radio. Don g3xtt the Editor is happy to include all aspects of the hobby old and new. Really good to have this on Pocketmags, and a week or more earlier than the print version. I particularly like the style of writing which is very accessible but not too technical. I notice they have recently started looking at some newer technologies like Network Radios, a new strand of the Amateur hobby which is proving really interesting to enthusiasts from all backgrounds. Well done PW for keeping on the cutting edge of the Ham hobby, in so many ways! Always a great yet gentle and easy read. Not afraid to explore new technologies in the hobby (like Network Radios, as one example) and full of useful stuff from a great set of contributors. Really enjoy reading PW. 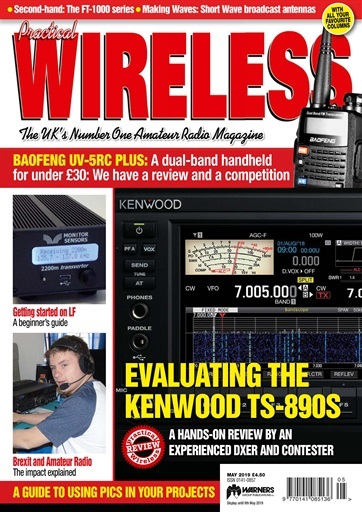 Lots of varied articles, reviews, amateur radio news etc. You'll receive 12 issues during a 1 year Practical Wireless magazine print subscription.